We're pleased to announce the following plenary sessions for this year's conference! Stay tuned for more details! Sunday: Featured Plenary Chris Worley, Ph.D. This panel discussion will be moderated by Larry Kokkelenberg, who recently retired from the Federal Government Office of Personnel Management. In this role, he was the chief of employee engagement and directed their Nationwide OD efforts with other Federal Agencies. Dee Ramsel has been a clinician, mental health executive, organization development consultant, and medical college instructor over the past thirty years. She earned her doctorate in clinical psychology in 1985. 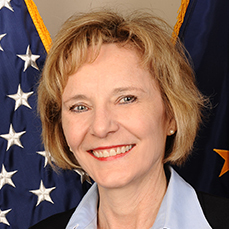 She was director of a 200-bed mental health rehabilitation program and regional mental health coordinator for the Veterans Health Administration, and from 2003-2008 served as director of the Healthcare Analysis & Information Group in the Office of Policy and Planning at Veterans Affairs Central Office. She now serves as the executive director of the VHA National Center for Organization Development. William (Bill) Thompsonhas been the Administrator of the Office of Foreign Labor Certification (OFLC), ETA, Department of Labor in Washington, DC. since late 2014. From January 20, 2017 until May, 2018, Bill was on temporary assignment in the Office of the Assistant Secretary for the Employment and Training Administration (OFLC’s parent agency). He is an attorney and began his career in private practice in New York and Washington DC in labor and employment law. Ms. Kelly Bulliner Holly currently serves as the Director of the Leadership and Organizational Development office in the Office of the Under Secretary of Defense for Policy. Ms. Holly most recently served as the Chief of Staff to the Assistant Secretary of Defense for Strategy, Plans, and Capabilities, earning two medals for Exceptional Civilian Service. Regan Miller is a senior Human Resources Consultant at the U.S. Office of Personnel Management’s (OPM) Workforce Planning and Reshaping Division within OPM’s HR Solutions, providing OD and human capital management services to public-sector clients nation-wide. 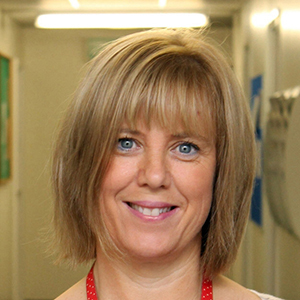 Regan previously served in the private sector in training and development positions. Across her federal career, she has served in civilian positions within the Department of Army, and the Defense Logistics Agency. President and CEO of The Clearing, a management consultancy in Washington D.C. Tara Carcillo is accountable for operations, business growth, employee development, corporate strategy, and overall company health. She has 15 years of experience as a professional in whole systems design, enterprise transformation, systems modeling, facilitation, and leadership development. Tara has a Bachelor of Science in Biology from Washington College, and a Master of Arts in Whole Systems Design and Organizational Systems Renewal from Antioch University. This panel will share the ongoing work by OD professionals in England's National Health Service. The discussion will explore how they have developed a robust process to enable OD practitioners to claim and evidence their practice by using the ODN Global Practice Framework, and how action research developed in one part of England has been spread to become a country wide OD intervention. The UK has a proudly held socialised healthcare system which in terms of ROI is viewed to be the best in the world. Within England the service is facing the global challenges of ever increasing demand, changing demographics and rising cost. The National Health Service (NHS) directly employs 1.3 million people and has an expenditure of 122 billion pounds which equates to a per person spend of £2,200 annually. The UK government is seeking to transform the NHS to ensure it continues to deliver. As part of this country-wide transformation programme CEOs are calling upon OD practitioners to support the system wide work. CEOs are rightly asking for assurance that the OD practitioners can evidence that they are capable of undertaking work at this level. Be inspired to challenge ourselves as OD practitioners and how we evidence the value we bring to the world. Featured Plenary Speaker Chris Worley, Ph.D. I believe that the dominant approaches to organization change, those which assume a linear, project-management logic of unfreezing, moving, and refreezing, do not incorporate diagnosis as a critical and central early process, and address only one change at a time, have got to go. As I’ve listened to practitioners and researchers talk about how OD can be more relevant in a digitalized, diverse, and dynamic world, the consistent call for new change theories has not received enough attention or response. Based on action research work with my colleagues at Pepperdine’s MSOD program, USC’s Center for Effective Organizations, and the NEOMA Business School in France, I’d like to propose a new theory for how organizations change and develop. The core assumptions in the model are that change and design are the same thing and that agility and development in modern organizations are characterized by continuous, multiple, simultaneous, and interdependent changes. The engage and learn model suggests that organizations can increase their capacity and capability for change through awareness, designing, tailoring, and monitoring. Dr. Chris Worley is a recognized leader in the field of organization development, agility, and organization design. He is the former Director of the Master of Science in Organization Development (MSOD) program at Pepperdine Graziadio Business School and served as past chair for the Academy of Management's Organization Development and Change Division. Dr. Worley's applied research and consulting practice is complemented by more than fifteen years of management experience in academic, for-profit, and government organizations. His consulting clients include organizations in high technology, fast-moving consumer goods, aerospace and defense, health care, financial services, retail, the public sector, and natural resources. Dr. Worley's most recent books include The Agility Factor, Becoming Agile, Management Reset, and Built to Change. He recently co-edited Organizing for Sustainability: Leading through Networks & Partnerships. 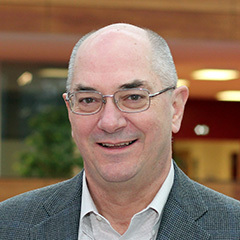 He also authored Integrated Strategic Change: How OD Builds Competitive Advantage, and with Tom Cummings has co-authored seven editions of Organization Development and Change, the leading textbook on organization development. 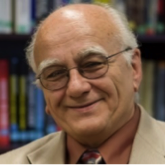 His articles on strategic change and strategic organization design have appeared in the Sloan Management Review, the Journal of Applied Behavioral Science, Organizational Dynamics, and the Journal of Organization Behavior, among others. In 2012, he received the Douglas McGregor Best Paper Award in The Journal of Applied Behavioral Sciences, and in 2011, he received the OD Network's Larry Porter Award and the Emerald Publishing Emerati Literary Award.